When I started my first company 15 years ago, I was broke, unemployed, and trying to convince anyone to lend me money was an uphill battle. Thankfully my 80-year-old grandmother made a bet on me. My goal is to pay her generosity forward by investing in entrepreneurs who need someone to believe in them. And I believe in you. 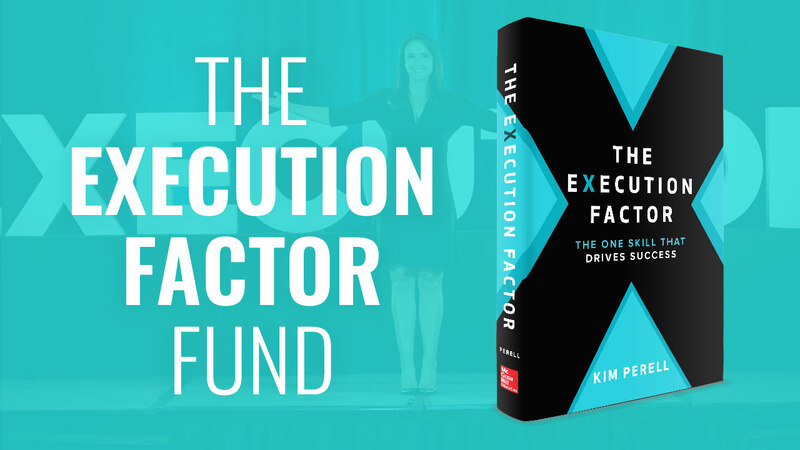 I am so confident that if you master execution, you will increase your chances of success that I have created The Execution Factor Fund to help you and other entrepreneurs turn your dreams into reality. The Execution Factor Fund will provide seed stage funding in execution-led startups, providing early financing to entrepreneurs and connecting them with industry experts. I am so grateful for the success I have had, I am contributing 100% of the proceeds from The Execution Factor to this fund. Are you ready to execute your vision and turn your dream into reality? Then apply to The Execution Factor Fund!